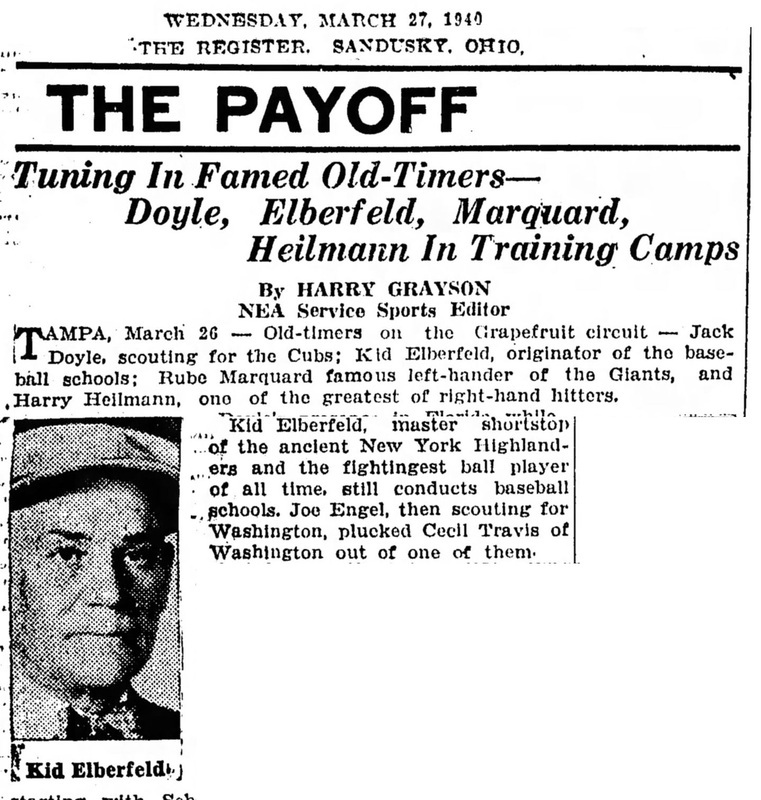 Tampa, March 26 - Old-timers on the Grapefruit circuit - Jack Doyle, scouting for the Cubs; Kid Elberfeld, originator of the baseball schools; Rube Marquand famous left-hander of the Giants, and Harry Hellmann, one of the greatest right-handed hitters. 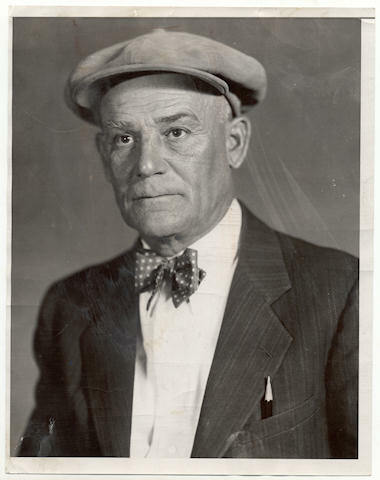 Kid Elberfeld, master shortstop of the ancient New York Highlanders and the fightingest ball player of all time, still conducts baseball schools. Joe Engel, then scouting for Washington, plucked Cecil Travis of Washington out of one of them. The picture in the article is one now owned by John Elberfeld as shown here.